In the movie clip editor, I've been able to easily add movies and sound as well as adding special effects using keyframes. That's all great, but I'd like to add some text hovering over the heads of the characters in the film. Up until now, I've been making a .png image containing the text I want and then importing that for manipulation. It works, but it's a painfully slow process, especially if I want to edit the text later. Is there an easier way to add text overlays to a movie for manipulation? As of 2.76, we now have a text tool in the VSE. See 3pointedit's answer. First, make sure you're in the Blender Internal Renderer. Then add a text object, and change the font settings to your liking. Then add a new material, set the color to your liking, and set it to shadeless (this can be changed, but a lot of the time, this is basically what is wanted). 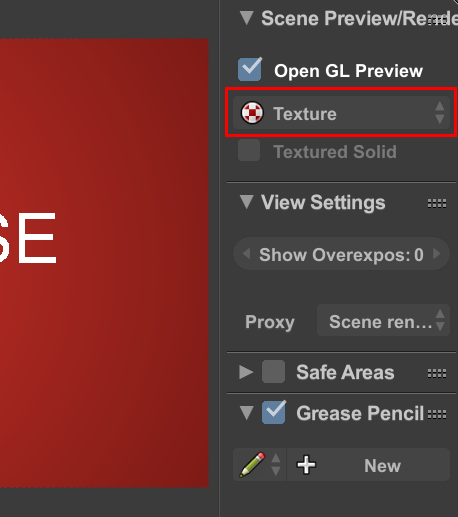 In the Properties panel (N), switch the shading from Multitexture, to GLSL. Then make sure that your camera is aligned properly, and that in the shading settings, alpha is set to transparent. In the VSE, add a scene clip, and choose your scene. Then change the Blend mode to Alpha Over. Then in the N Panel of the viewer, set the render type to textured. In the viewer, you'll notice that the text isn't aliased properly, but when the text is rendered, it should render correctly, but if it doesn't, rendering at double the resolution and then down grading should fix the issue. 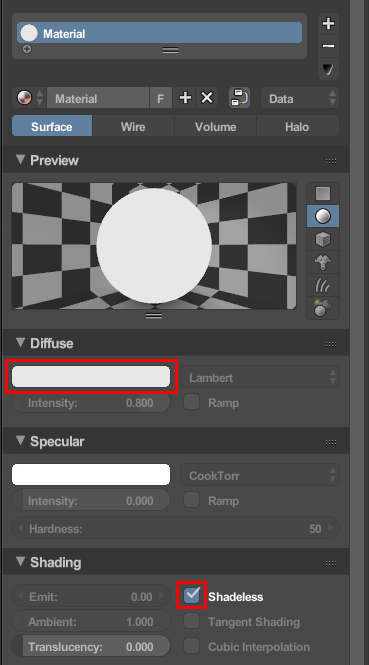 In recent versions of Blender (2.76) there is a caption or text tool. You add it as an effect strip over your footage. There are some downsides to this though. For example, there is no control over the font. This makes it more suited to subtitles, instead of a title at the beginning of a video. <text x="960" y="300" text-anchor="middle" font-family="Impact" font-size="120"
then render it. (You can view it in your web browser as you write it to make sure it looks right.) You can render the SVG with ImageMagick, e.g. This has the advantage of being fast to render, unlike using a 3D model, and more flexible than the built-in text effect, which only has 1 fixed-width font and doesn't currently allow having a border to make the text legible despite the background. Times change and Blender has a new feature. Thus the edit. 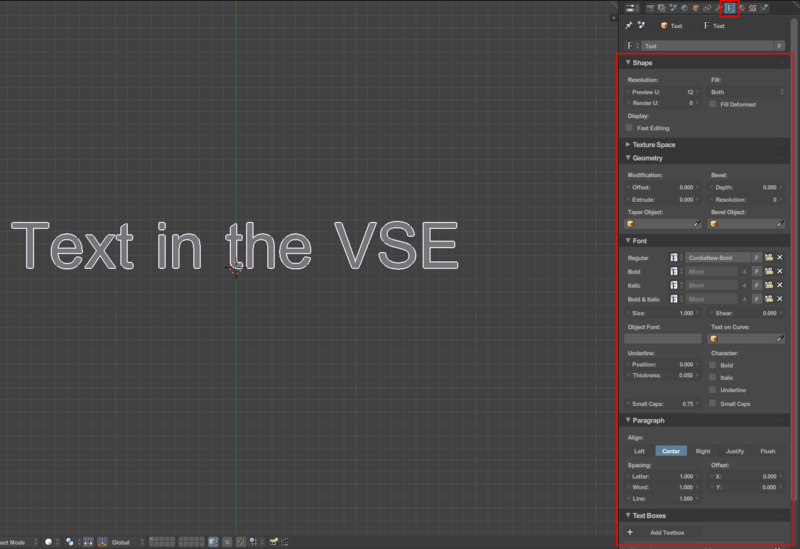 Blender 2.76 has a simple text feature in the VSE. On the date of this edit, I find the feature lacks expressiveness for frequent use. Its rather like cell phone texting. I would still use the Blender 3D View to create text. 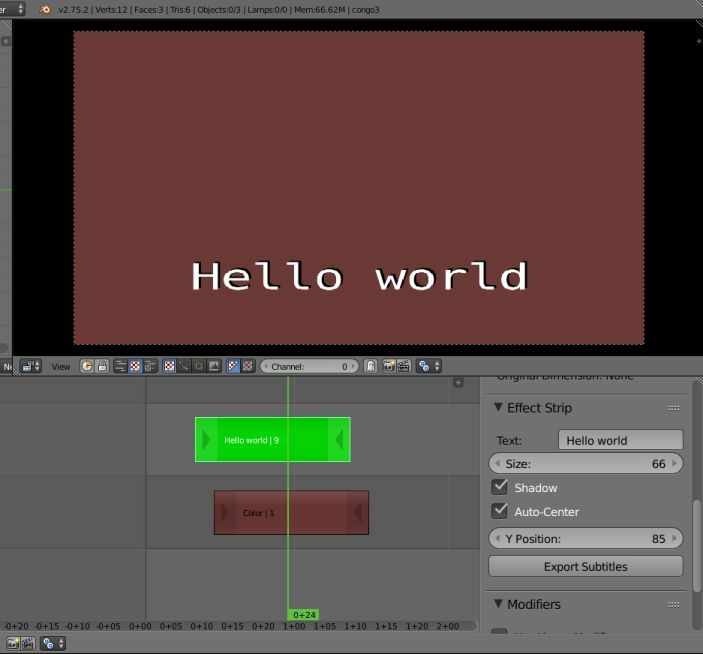 Lastly other free video editors have more expression for text overlays. In the Windows OS at one point, the free movie editor Windows Movie Maker had moderately expressive titling. This might be valuable for some limited number of people. I have not used that software years. Lowly recommended. Blender is for unlimited expression, not ease of use. Well the techniques below are probably easier than hand painting them in a primitive painting program. I have not searched extensively or recently for scripts or add ons for this task. I have written scripts to process text sequences in blender which I might later discuss here. Consider searching for scripts and add ons. More adventurously you might write one. The text is meant to overlay the primary video only. There is no 3D interaction to the primary video. 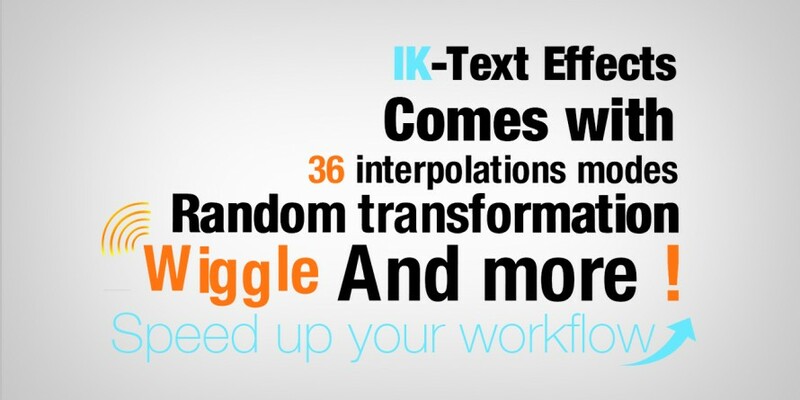 Its desirable to render the text separately and quickly, knowing further placement can be achieved in the Blender VSE. Technique 1. Write your text paragraphs or phrases in a single blender text object and animate vertical movement to only show one paragraph at a time. Render png sequence. Technique 2. Create many different text objects and animate their visibility with the render icon or layer switching. Render PNG sequence. Technique 3. Locate a script to render text sequences existing in a typed text file or similar for a range of frames with post processing. This script would register an on frame change event. Result is a sequence of PNG files. By using Blender 3D view you have ultimate control over style such as glowing and lattice warping and post processing. Whether you want it or not. If your timeline is stable and your text is changing you can change the data files for the VSE strip with no position placement necessary. how to add transparent text and shapes to a movie?